A man charged with murdering his mother, whose body was found stabbed in a garbage can Christmas Eve in the Morgan Park neighborhood, has been ordered held without bail. 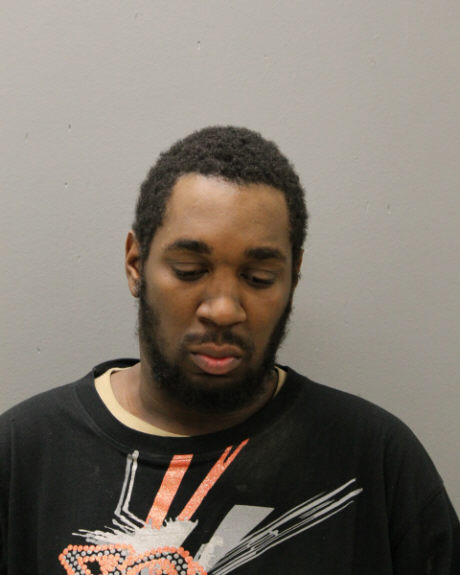 CHICAGO (WLS) -- A man charged with murdering his mother, whose body was found stabbed in a garbage can Christmas Eve in the Morgan Park neighborhood, has been ordered held without bail. Robert Wallace, 25, was charged with first-degree murder after he was identified as the person who allegedly stabbed Betty Wallace, his 67-year-old mother, and disposed of her body in an alley in the 10800 block of South Prospect, according to Chicago police and the Cook County medical examiner's office. About 1:50 p.m. Monday, Streets and Sanitation workers discovered Betty Wallace's body as they emptied a garbage can into their truck, according to charging documents. Responding police officers observed that she had been severely beaten and stabbed, and had multiple lacerations and stab wounds to her body and face. She was pronounced dead at the scene. "Betty Wallace's head had been beaten so badly that the right side of the face was completely caved in and she was missing several teeth," said assistant state's attorney Jamie Santini. An autopsy Tuesday found Wallace died of blunt force trauma to the head and multiple stab wounds. Her death was ruled a homicide. Court documents reveal that Betty Wallace's family had reported her missing a day before her body was discovered after she failed to arrive at a family birthday party. She had not been seen or heard from since Dec. 18, according to court documents. Relatives also expressed concern to learn that her son, Robert, had been driving her car several days earlier. Betty Wallace's body was discovered about three blocks from where she and her son lived in the East Beverly neighborhood in the 10000-block of South Church Street. Blood, boric acid and the woman's empty purse were discovered during a search of her apartment Monday night, according to court documents. While police were at the residence, Robert Wallace arrived in his mother's car and was unable to explain where she was or why he was driving her car, court documents state. Officers also noticed blood on Robert Wallace's coat and arrested him. They recovered two hunting knives -- one of which was bloody -- two pocket knives and the contents of Betty Wallace's purse during his arrest, according to court documents. Robert Wallace used his mother's credit cards to make purchases at several restaurants, grocery stores and a clothing store, court documents allege. "Am I surprised? No," said neighbor Jill Haney. "Is it weird? Yes. It's creepy." Robert Wallace previously lived with his mother, court documents state, but was kicked out in August 2018 after a violent incident in which he cut her face with a knife. Still, Betty Wallace provided her son an apartment in a building that she owned. She changed the locks on her own residence out of fear of her son, according to court documents. Robert Wallace appeared for a bail hearing Thursday at the Leighton Criminal Court Building. He was ordered to be held without bail. If convicted, Robert Wallace faces a life sentence, according to court documents.